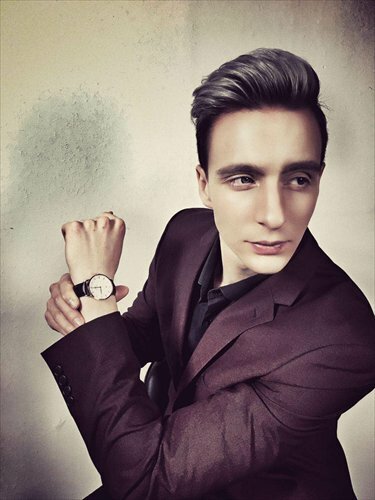 Twenty-seven-year-old Antonio Coll Ruiz is Spanish, but you wouldn't know it just by listening to him - his Chinese sounds like that of a local when he speaks, and even better when he sings. In a video that he posted online last month, Coll Ruiz shows off his language skills with a flamboyant rendition of the Chinese pop song "Her Mother Doesn't Like Me." It may not be his impeccable Chinese, however, that drew so much attention; in the video, he switches between the role of the boyfriend and the girlfriend, at times donning a pink wig. The video has received about 140,000 hits and thousands of comments on bilibili.com, a Chinese video website famous for real-time commenting. Among the comments that sometimes shot across the screen (danmu, literally "bullet screen") were sentiments like "Don't worry, my Mom would like you!" or "I thought you were a musician, but it turns out that you are a wanghong (online star) and duanzishou (online jokester)!" With the Internet, musicians now have more opportunities to become famous. Of course, in an age dominated by appearances, it isn't good enough to be talented - you need the whole package: personality, looks and, while we're at it, a splash of the exotic. In this new competitive context, what does it take for foreign musicians to make it big? Aventurina King's unique brand of music combines Chinese and Western elements. Laurence Larson launched his popularity in China with a video on youku.com. American singer Katara surrounded by her fans. Coll Ruiz first came to China in 2012 as an exchange student, intending to stay just a few semesters to study Chinese at Guangdong University of Foreign Studies in Guangzhou, Guangdong Province. It was shortly after arriving that he entered a campus singing contest, and learned that he had what it takes to be a star. "At that exact moment - when more than 400 people were screaming my name and I was in the perfect place and the perfect time - I realized that I wanted to become a singer in China," he said. 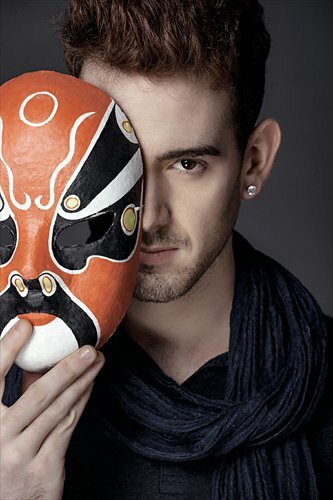 That was it for Coll Ruiz, who decided to ditch his plans to return to Spain, and make a go of his music career in China. For him, singing in Chinese has been a great way to continue learning the language. "With songs, you can learn not only new words but also about Chinese culture, the way people in China see things, and the way they live, love and work." Coll Ruiz also has a number of Chinese friends who've introduced him to hip new phrases and keep him updated on the latest online memes. That was how he learned to say "Ni shibushi sha?" (Are you dumb? ), a hot phrase usually used in a teasing way among friends that he recently deployed on China's Twitter-like platform Sina Weibo and Meipai, a video-making and sharing website. Another foreigner who's seen major success on the Chinese Internet is 22-year-old New Zealand native Laurence Larson, who first gained Netizens' attention in 2013, when he posted a cover of the famous Chinese song "Tonghua" (meaning "fairy tale") on Chinese video-hosting site youku.com. Within days, the video had received hundreds of thousands of hits, which was especially jarring for someone from a comparatively small country. "That was a very big eye opener," Larson said. Since then, Larson, who now lives part-time in China, has racked up more than 120,000 followers on Weibo. "Social media is definitely the coolest thing in our generation," he said. "My only communication with China for the whole time in New Zealand was online." Good fan management is necessary, too. As a bona fide wanghong, Coll Ruiz says he makes sure to check all the comments on his social media pages each day, and answer those that he thinks are nice or funny. He also formed a WeChat group to talk directly to his fans. "I think this is the good part of this new era of communications," he said. "With luck I could talk directly with Usher or Justin Bieber [too]." Paris-born New Yorker Aventurina King, now 29, originally came to China for the 2008 Olympic Games, but after meeting the man of her dreams in Beijing, ended up staying for love. Though the relationship fizzled after two years, King, who boasts a degree in East Asian Studies from Columbia University, stayed on, doing everything from freelance writing to TV hosting and dictionary editing. In the back of her mind, though, a secret passion lurked - music. "I thought to myself, 'Well, moving over to China was a new beginning, why not try to pursue my original dream?' So it's when I moved to China that I decided to go for my musical dreams." Over the years, King gradually started making her own brand of fusion pop that combines Chinese cultural elements with her own modern Western sensibility. Last Wednesday, she released her latest song, called "Without You." In the music video, King wears a cheongsam, and sings confidently against a mix of guqin, a traditional Chinese instrument, and synthpop. "I would call the song's style 'traditional Chinese hip hop,'" she said. Another foreign songstress, who goes only by Katara, came to China from New York in 2013 to appear on a Chinese variety show called Dream of China, which features ordinary people with a talent and dreams. This helped lead to her moving to Beijing in 2014. "Coming from a different culture, writing lyrics in Chinese is certainly very difficult," she admits. However, by using simple words, she's managed to write several songs, and says she's improving quickly. She added that she takes great pride in the fact that she used not just one, but three chengyu (Chinese idioms, often in the form of four characters) in her latest song "Who Am I?" A woman of many talents, Katara writes and produces all of her music and directs and edits her own music videos. While she doesn't yet have an agent or a label, she says all of her accomplishments thus far are thanks to her fans and online followers. That's why she personally manages her social media pages on several Chinese online platforms. Her youku.com page alone has more than 90,000 subscribers and her music videos have been played about 3.6 million times. According to the foreign singers Metropolitan talked to, it's quite common for people to attribute their popularity to their "exotic looks" and ability as foreigners to speak Chinese. For example, during a TV interview in 2013 on Hubei Satellite TV, King recalls being told that with her blonde hair, big eyes and chiseled nose, she looked like Barbie doll. King said she has become "a bit more confident in my looks since coming to China." She is adamant, though, that these days it isn't enough to have a foreign face and to speak (or sing) Chinese well. There are plenty of people who can do that, which means that foreign musicians need to work harder to stand out from the crowd. King believes that her greatest advantage lies in the fact that her songs are not simply acoustic covers. "They're productions that completely change the style of the song, and I spend a long time on each of the elements of production," she said. "Maybe that's why some people like my music. I never stop working to make sure that each cover and original song is better than the last." Coll Ruiz, meanwhile, admits that being handsome and exotic hasn't hurt his career, but that the quality of the music and the music videos is more important. "The key to popularity online is making good, original stuff and doing it consistently." One challenge that foreign singers share is that Chinese audiences, and sometimes even producers and agencies, prefer that they sing famous Chinese songs (and occasionally, the works of American pop singers) rather than their own original works. King explains that this is often the case for simple marketability. "For a TV show, it means the audience won't switch the channel (because they know and love the song)," she said. "For a performance, it means that the audience can sing along." Her solution is to sing covers while making her own changes to them. Larson agrees. "I'd prefer to perform my own music," he says. "That's one of the main reasons why I was on Sing My Song, so I could put myself and my own things out there." Larson appeared on the China Central Television show, which features a competition similar to American Idol, in December 2015. But he sees it as challenge rather than a source of frustration. "People like hearing things they are familiar with and that they can sing along with. That is the challenge of writing new music, is making something that people can really relate to emotionally." Larson is planning to move to Beijing in April, the "music capital" of China, where more international musicians live. "I want to immerse myself in China for a long time, to properly gain a grasp of the culture, and to bring my own culture to Chinese music."